Hurlbert ended his six-month reporting trip to Ireland in Belfast. He admitted that his “flying visit” was solely “to take the touch of the atmosphere of the place” in order to write about Ulster’s unionist sympathizers. Many journalists, myself included, have made similar quick trips to Belfast to report on the deep cleaves of Irish political, religious and social history. 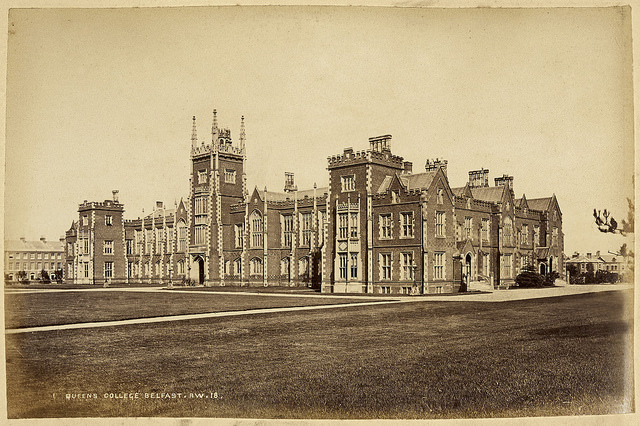 Queens College Belfast, circa 1888. Public Records Office of Northern Ireland. Hurlbert, the former New Yorker, described Belfast as “very well laid out … with broad avenues and spacious squares … an essentially modern city.” He noted the city’s incorporation in 1613 under James I, but did not mention that earlier in 1888 it was granted city status by Queen Victoria. Since the late 18th century, he said, the city had grown “after an almost American fashion” to a population of more than 200,000, second largest in Ireland. He noted the waterfront city had filled surrounding marshlands to accommodate its expansion, similar to Boston’s Back Bay district. 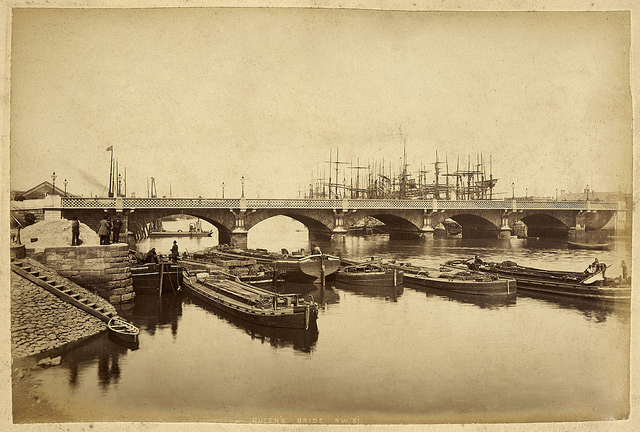 Queen’s Bridge, circa 1888. Public Records Office of Northern Ireland. The banks, the public offices, the clubs, the city library, the museum, the Presbyterian college, the principal churches, all of them modern, all of them bear witness to the public spirit and pride in their town of the good people of Belfast. 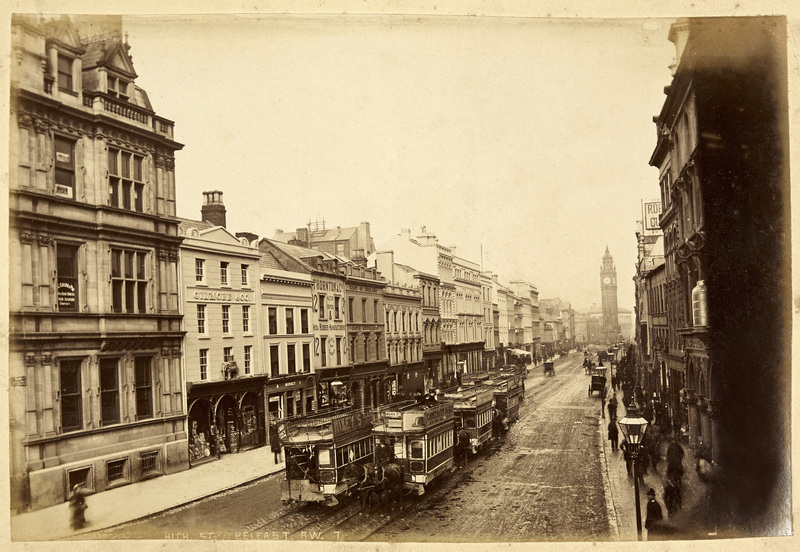 High Street in Belfast, circa 1888. Public Records Office of Northern Ireland. NOTES: From pages 199, and 407-410 of Ireland Under Coercion: The Diary of an American. This entry was posted in Arts & Culture, Business & Environment, History, IUC, Revisted, Northern Ireland and tagged Belfast, dublin, Queens University, shipbuilding on June 1, 2018 by admin.